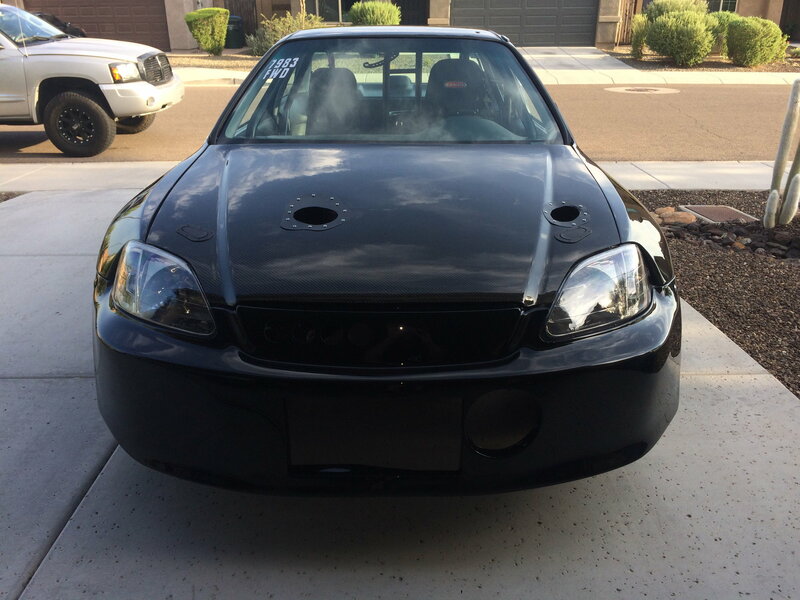 Honda-Tech - Honda Forum Discussion - AZ_CIVIC'S Build, Testing Things, ETC. Well I basically got my rolling chassis all back together. Had some fun figuring out things I never have done before like removing my front and rear windows, my roof and re-installing as well. I've posted roof removal and re-installation in paint and body so if anyone is thing of doing something similar I've got some nice instructions on a how to and try to create helpful things as I go along. I'm creating a thread here because I am going to try some things out with my forced induction setup and thought this could be a helpful place to add some insight and answer some questions. 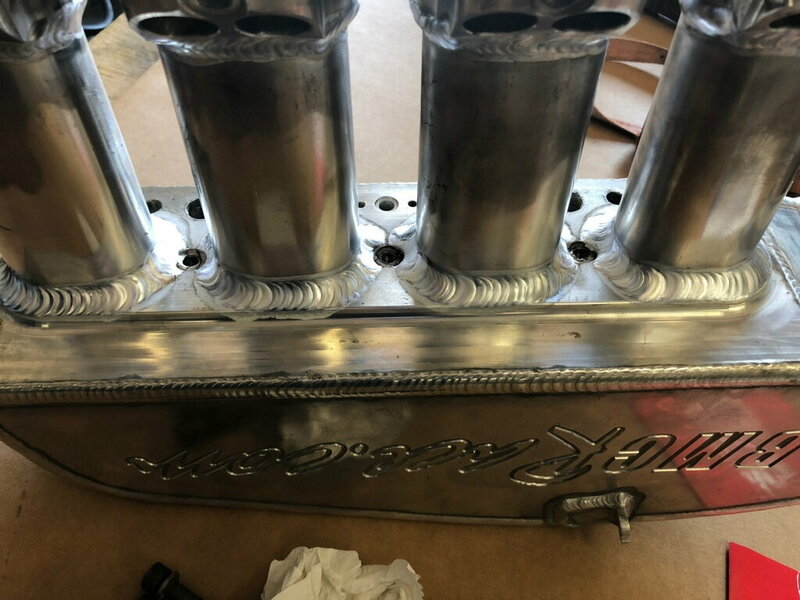 I am going to be trying some intake manifold tests, maybe some different turbo tests, intercooler setup and tests and because I am using Motec have the ability to run a bunch of sensors to see what difference certain things can result in for better or worse. One of the biggest issues I am having right now is my breather box which is new and have had issues with this thing just spitting oil right out the filters. Darton Sleeved 84mm, Aluminum Rod 10:1 compression GSR Block. 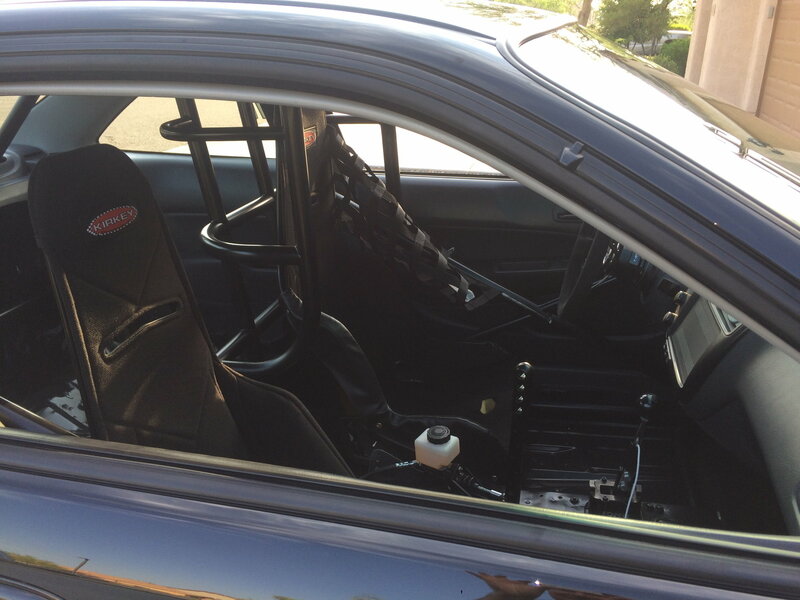 PPG Gear Set, Liberty Bell Housing, Comp Twin, DSS 5.9's, Gforce shifter with strain gauge. 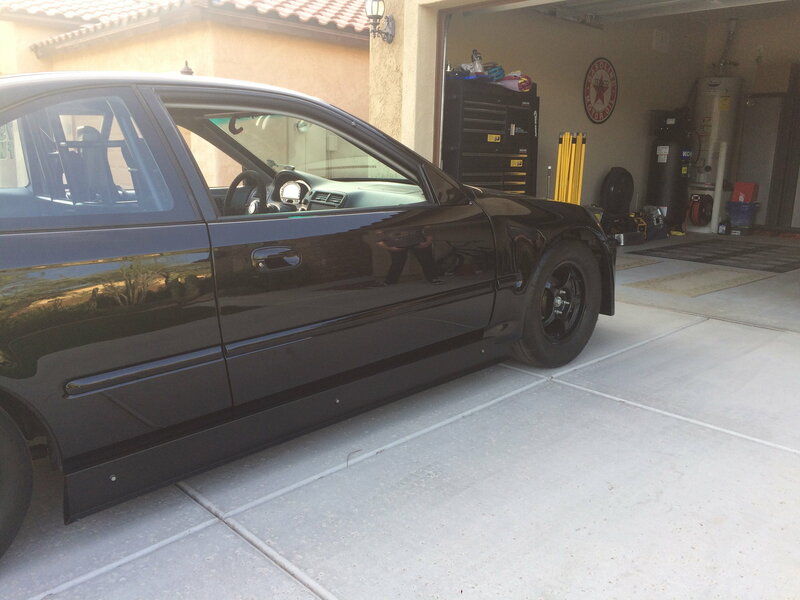 Strange Engineering Coilovers, Kaizenspeed Rear Trailing Arm Kit, MAAK Brace, Full Kingpin Spherical Bearing setup. Custom 7290 Comp Turbo, Full Race Forward Face Manifold, Tial 60mm Gate/Blowoff Vavle, Custom piping, Custom Intercooler. I’ll be using this modified BMC. Awesome. Any ideal on mainfolds and turbo that you wanted to test out. Side note, i recently looked into the web street/strip cams. Wow its gonna be killer. Interesting that you chosen Comp turbo for such a serious build. Do you have some data on their turbos ? Well I had the Edelbrock Victor X manifold on my car and then borrowed this BMC manifold from my buddy. I had just swapped the manifold, the forward faced manifold, intercooler and turbo onto my car and made one pass before my block finally gave out. So I was originally thinking of buying the Skunk2 Ultra with the 4piston machining on the runners but decided not to do it because the BMC has 8 injector mounting on the top where the Skunk2 has 4 up top and 4 down below so I didn't want to have to remake my fuel line to accommodate. Then I though of going all out and purchasing a Kinsler but again they run the injector top and bottom. So what I ended up doing was using the BMC but the runners were able to be removed and were held on with bolts and orings. I've heard of these things leaking so I decided to have the runners totally welded on so I wouldn't have to worry about leaks. 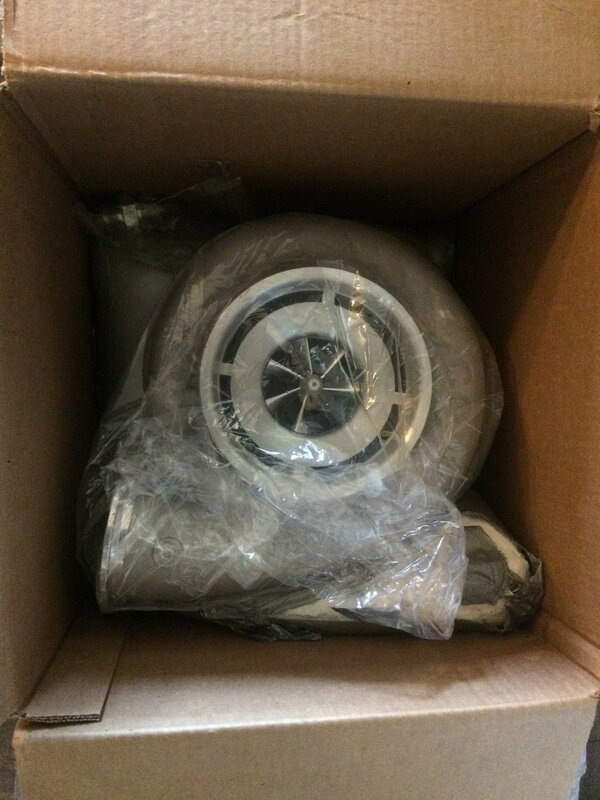 So the BMC has a pretty big Plenum and am going to see how this one works with my new setup and hopefully it is better than when I ran the Victor X. So I ran the Comp 62mm turbo in the past and it did pretty decent. The Comp Turbo I am going to run came of Joe's grey car from Locash Racing, the one that ran an 8.31 with this turbo. Before this I ran the Precision 6870 which got me an 8.8 so I am going to see what the Comp will do. I know one of the guys who works for Comp and he hooked me up with rebuilding the Comp Turbo for free I mean basically a new turbo since it had been on Joes car for a few years so we will see how it goes. If the turbo ends up sucking I am thinking of trying the Precision gen2 7285 and as far as spool goes I am not worried about that LOL. I never go below 9,000 RPMS so no biggie. I've also thought about the Precision 6785 as well but we will see. Yeah i was thinking about 6785 would be very good for your build but it DAM expensive. What happened to the 6870? Edit: Wait isnt it a ruleset on turbine wheel of like 85mm? What category do you race? So this will be the turbo I will be using on my car this go round to see what it will do. 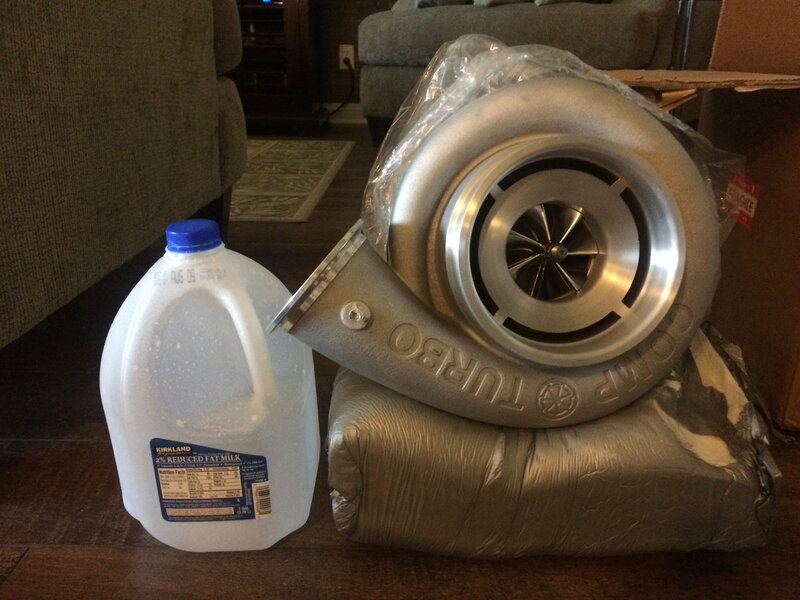 I figured just taking a picture of the turbo in the box you sometimes loose reference on how big a turbo or something can be by just looking at a picture. 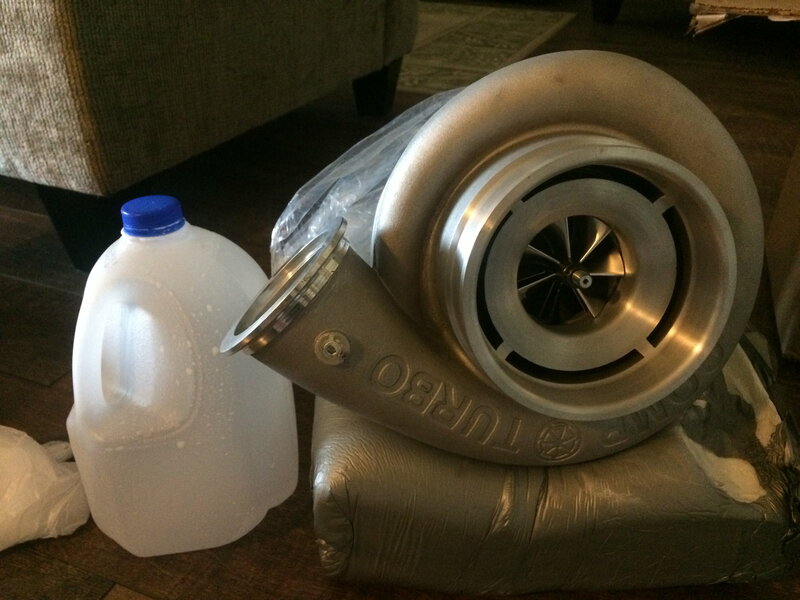 This is the turbo next to a gallon milk jug just to give a reference on how big this thing is LOL. Oh for sure, a turbo this size on a DD car wouldn't make much sense but a race car absolutely LOL. Wow. This will pull the car to the side. Haha. Do you have any dyno plot of the 6870? It was itching me to get a Comp turbo some years ago. Do they have their own design turbine wheels or garrett/garetish design? We did a dyno run with the 6870 and put down like 1070whp or something like that but last time I asked Joe of Locash CNC (my tuner) he didn't save my run LOL. 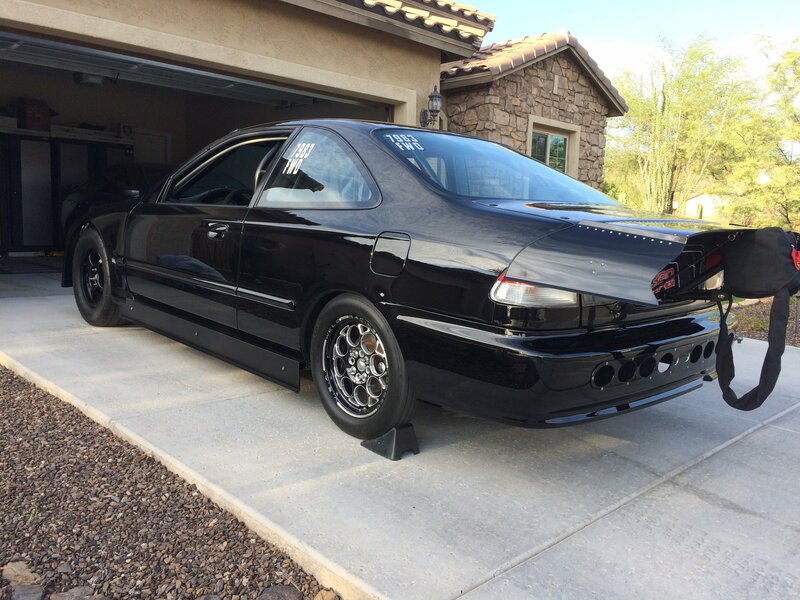 This Comp turbo has put down over 1300whp. Comp Turbo does design their own turbine wheels and doesn't use anything Garrett. Comp turbo yield good results. They dont just mix and match wheels like other companies???? Not that I am aware but who knows with companies now days LOL. 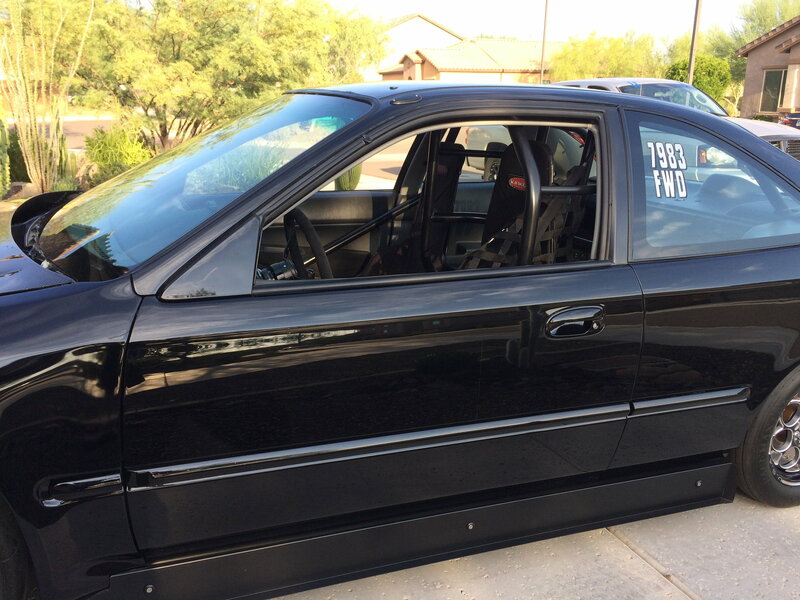 Just some updates: Got the interior all back together, finished everything up with the body. Now just waiting to get the cage 7.5 certified and then motor will start to make its way back in. So one of the things I have seen some people asking is the type of pan to use. 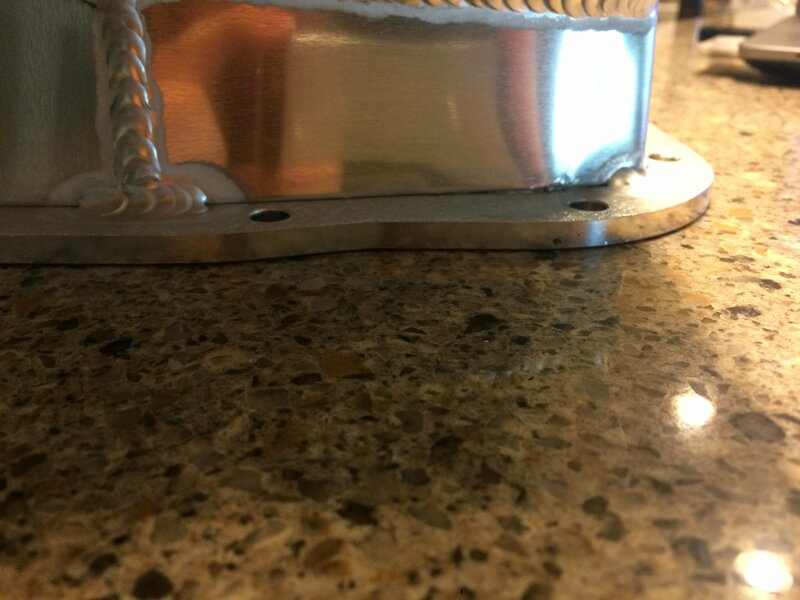 A lot of people have had issues with Moroso pans leaking and so have I, one thing with my last Moroso pan we tried gaskets, we tried Honda Bond and we even shaved all the little dimples down and used a gasket sealer and that was the best but still not perfect. 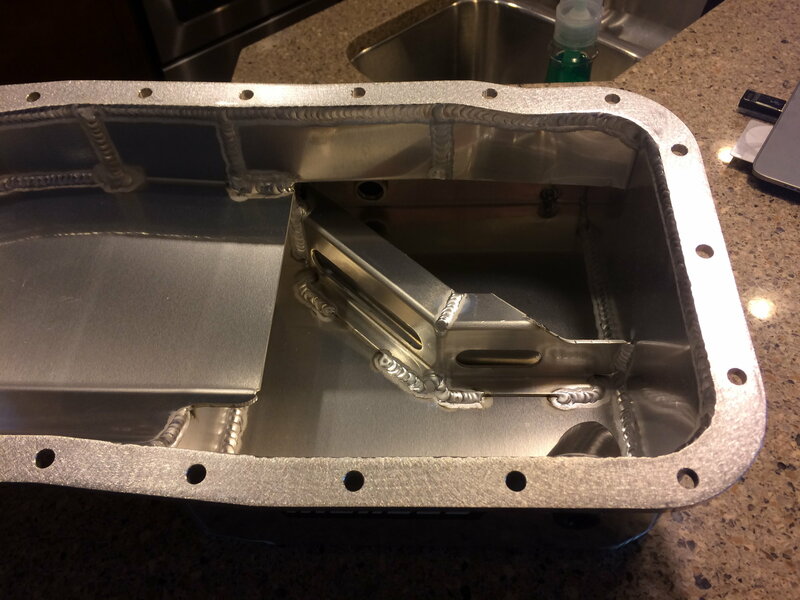 This time I am trying the all aluminum Moroso pan and we will see how this one holds up. So far putting it on a flat surface it is almost perfect with very slight movement but nothing major. Once it is bolted down and sealed hopefully I don't have issues but we will see. The paint job is incredible. What a car. Thanks man I took my time when I painted it plus that 3000 grit wet sand and buff came out very clean.